A great gift idea for newlyweds, first home buyers, and more. 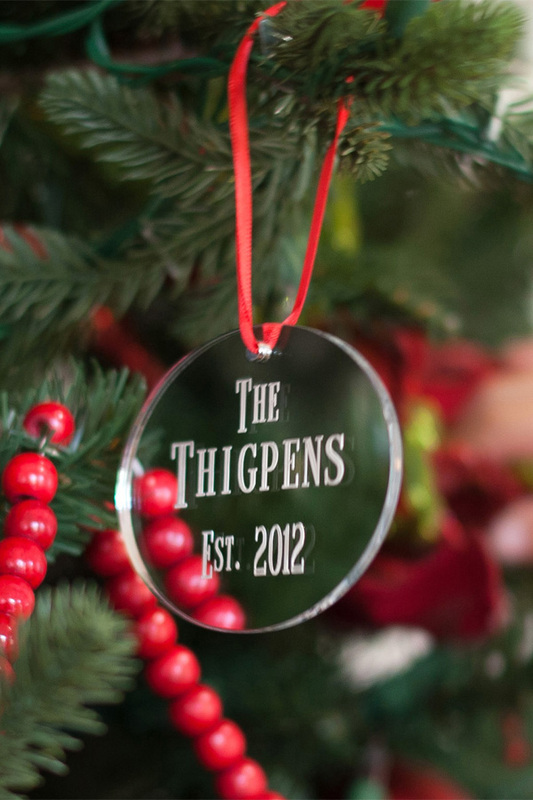 Your tree will sparkle and shine with this laser engraved, mirrored acrylic Christmas tree ornament. 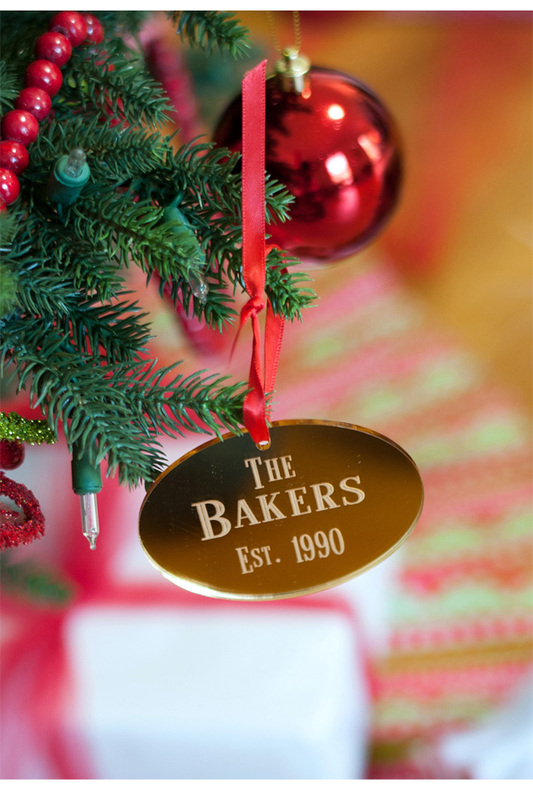 Each oval shaped ornament comes personalized with your last name and established year. Available in mirrored gold or mirrored silver acrylic, these are sure to catch the light from every angle. 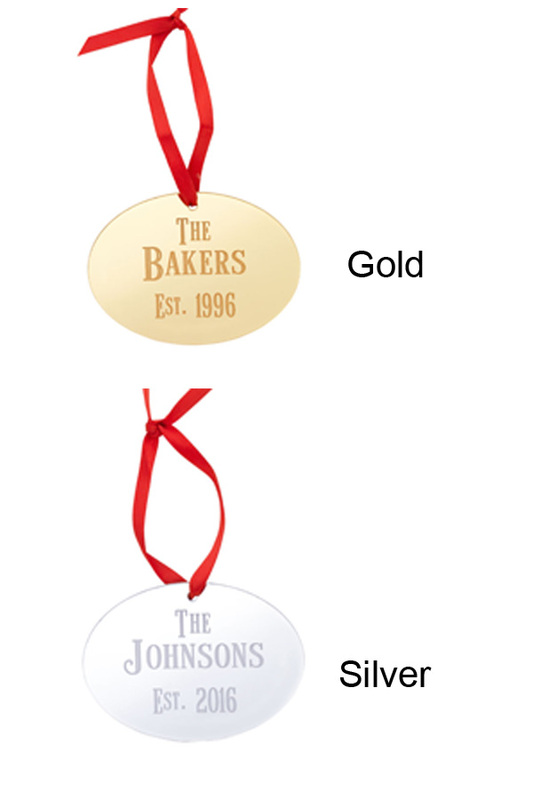 Each ornament measures 3 1/2 inches wide by 2 1/2 inches tall and comes complete with a red satin ribbon for hanging. The word THE and EST come automatically printed. Simply enter your last name and year to be engraved.